Shutters can greatly enhance every home’s interior and help you achieve your ideal level of lighting and privacy in any room. Many homeowners appreciate the secure sense of enclosure afforded by shutters and for this reason they’re commonly installed on residential first floors. Dens, sunken living rooms, studies, and libraries can benefit from the snug sense of security afforded by a solid set of wooden shutters. Open them during the day to allow in the desired amount of light and close them at night to appreciate absolute comfort. 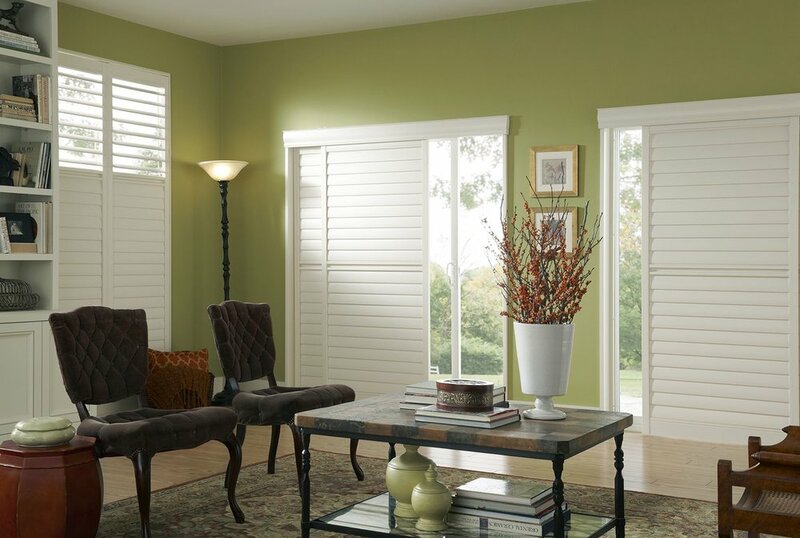 Our shutters are available in a wide variety of paint and stain colors to suit your home’s existing color tones. Customers whose houses are simple and modern with black, white, and grey interiors might opt for neutral and solid colors. Rooms with plants and lighter wood elements might be complemented best by softer shaded green shutters that set a soothing tone. Our shutters are available in several material types and they’re all featured in our Bradenton and Venice showrooms. Our most popular options include value resin, poly resin, composite, hybrid, aluminum, wood painted, wood stained, and more! Our selection of quality shutters includes top name brands like Eclipse, Palm Island, Hunter Douglas, Graber, Norman, and more! Your decorator will help you accentuate your favorite colors in each room of your home to help you accomplish the special style and professional level of design you’ve long sought after!